The Junior GOYA of SS. 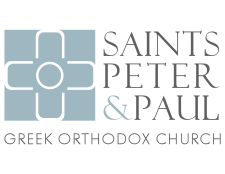 Peter and Paul Greek Orthodox Church aims to be a conduit of the holistic growth of our 6th-8th Graders toward Christ and His Church. Our Junior GOYA strives to accomplish this mission by intentional gatherings of Worship, Fellowship, Outreach, and Education.